Want to know how to win the lottery? People are not without their flaws and neither are lotteries. While a lot of so-called tactics to win the lottery are little more than shams or ways to sell books, there are people who have found out ways of winning on the lottery. Some of these people have taken advantage of loopholes and made themselves millionaires in the process! 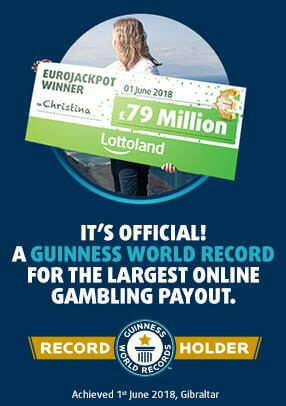 Note: at Lottoland you are betting on the lottery results and not buying official lottery tickets. Back in 2012 it was revealed how a group of university students had found out a way to guarantee a win on the Massachusetts State Lottery. By then they had exploited the loophole for more than seven years and made over 8 million dollars! This is how they did it. The group of students at the Massachusetts Institute of Technology found that if the jackpot on the state’s Cash WinFall game rolled over to more than $2 million, a syndicate could get a guaranteed return on investment if they bought a huge amount of tickets. This was made possible due to the increased value of lower prize tiers, making it a sure investment to if you bought a large quantity of tickets. Purchasing tickets for a value of $600,000 guaranteed a return of 15-20%. The group soon setup a network of ticket buyers, even getting investors on board to help them amp up their operation to an industrial scale. But here’s the thing: lottery officials knew about this loophole as far back as 2005 and did absolutely nothing to stop it! However, for any of you readers who are currently thinking about going into business, you can forget about it. The Cash WinFall was shut down in 2012. Back in 1990, Stefan Klincewicz, a Polish-Irish accountant, found a more profitable way of crunching numbers. Back then the National Lottery in Ireland was a 6/36 game with a very low cost per line. This meant that when the jackpot had rollover a certain number of times, its system could be exploited by buying a large quantity of tickets. That’s exactly what Klincewicz and his syndicate of 28 people did. The group prepared for half a year by writing down about 250,000 combinations. When the large enough draw came up, they made their move. In spite of lottery officials’ attempts to curb their efforts, the syndicate managed to get their hands on 80% of the winning tickets. They spent about £820,000 in the process! The group scooped up the jackpot in the draw. But they could have been even luckier. They ended up having to share their jackpot with two regular players, a scenario easily avoided with Lottoland’s NumberShield! Mohan Srivastava is a Toronto geological statistician who figured out the workings behind a scratchcard noughts and crosses game. Are you beginning to see a pattern here? All of the people mentioned so far have had a way with numbers. Like the ones before him, Srivastava used his knowledge to figure out underlying system behind the lottery. It all started when he was jokingly given the scratchcards from his friend. While scratching them, the statistician’s attention soon landed on a noughts and crosses game on the ticket. Having used his math skills to analyse the numerical patterns on the tickets, he was able to fairly accurate predict winners. In fact, in a display of his brilliance, he predicted 19 out of 20 winning cards. Being a hard-boiled logician, however, Srivastava soon worked out that he would make less on the lottery than he would his normal day job. He soon reported his findings to lottery officials who took action and removed the game, and with it yet another opportunity for lottery players to beat the system. Have you got a lottery strategy? If you don’t plan on keeping it to yourself, share with other players here at Lottoland! Is Eurovision Song Contest rigged?